Browse » Home » Warehouse Sale » Aquatics, Fitness and Sports Warehouse Sale at Unbelievable Prices! 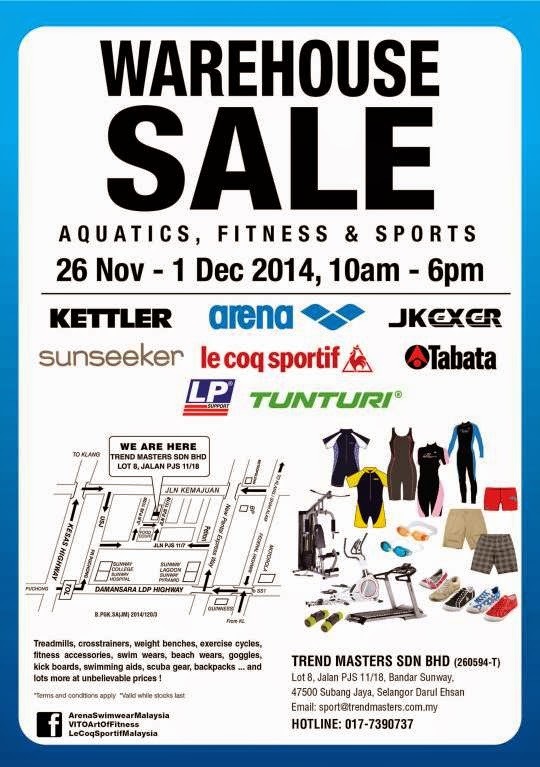 Aquatics, Fitness and Sports Warehouse Sale at Unbelievable Prices! Aquatics, Fitness and Sports warehouse sale! Treadmills, crosstrainers, weight benches, exercise cycles, fitness accessories, swim wears, beach wears, goggles, kick boards, swimming aids, scuba gear, backpacks ... and lots more at unbelievable prices!